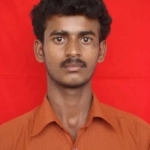 Elangovan T from Nellur, B.E. - B.Tech Graduate. GOOD AT TEAM WORK GOOD KNOWLEDGE IN SO.. IMPLEMENTATION AND ..
are one of expert skill area's of Elangovan T .
Elangovan T is working in Engineering Project Mgmt./Site Engg./Civil Engg./Construction industry.